Contact Greenright Design, and we will come to your site to discuss your project. This is at no cost to you. Fee Proposal: Greenright Design will prepare a fee proposal outlining, in detail, our proposed services and the fee for those services. Preliminary Design: If the proposal is accepted, then Greenright Design will put together an initial design and prepare drawings that clearly convey our design to you. Final Drawings: Greenright Design will prepare the construction drawings necessary to obtain the permits and approvals*, and to bid and construct the project. Post design services: Greenright Design can help review contractor proposals to see that the project costs include what is expected and help insure that all contractors are pricing the same thing. Fortunately, our area is blessed with several highly qualified, reputable contractors. 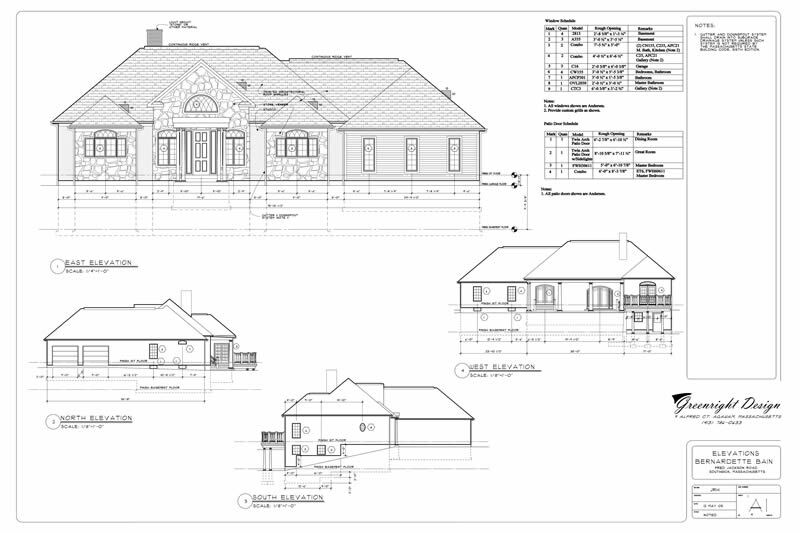 With a quality set of drawings, a good contractor and Greeright Design, we can see your project successfully through to the end. *Some approvals may require the services of a licensed engineer (i.e. the design of a septic system). Greenright Design has developed relationships with professional engineers in various fields including civil, structural and mechanical practices in both Massachusetts and Connecticut and will be happy to include those services if the need arises.